Brainwashed - Lycia, "Quiet Moments"
With the constant resurgence of various genres co-opted by younger generations, many an inactive artist has returned to the fold to capitalize on their previous notoriety. The synth pop trend of a few years back has unsurprisingly brought with it the revival industrial and goth scenes (and all of their various permutations), much as it did three decades ago. 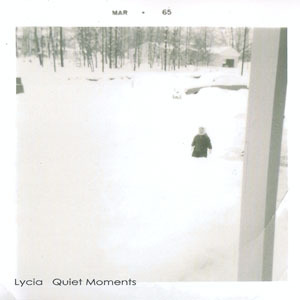 However, the reappearance of Mike VanPortfleet’s Lycia has little to do with this, and more to do with pure synchronicity: Quiet Moments is made up of material recorded over the past seven years. 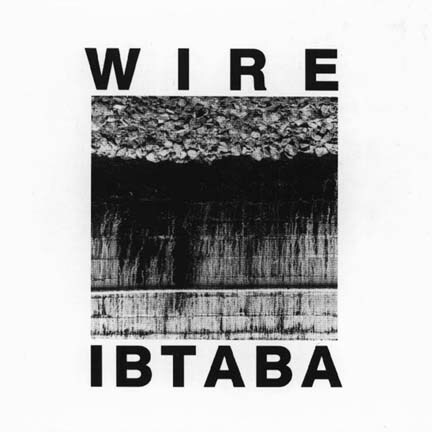 As such, it manages to fit in nicely with their earlier work while still sounding like new roads being taken, and also appearing at the right time to capture some much deserved attention. As a point of full disclosure, I personally missed out on most of the Projekt scene Lycia was associated with in the early to mid 1990s, as my tastes then were pretty much just rooted in the industrial and death rock subgenres exclusively. In those pre-WWW days and having little in the way of peers with similar taste, it mostly slipped by. However, going back and revisiting the era, Lycia's current material has stayed true to their earlier works, without sounding as dated as many of their peers do. One thing that clearly has not changed is the overall bleak and dour mood to VanPortfleet's music, which manages to be lugubrious without being plodding or overly ponderous. It is slow and depressing, but never in a way that feels like it is trying too hard or forcing a mood for the sake of attention. Which is no easy feat on an album where most of the song titles reflect winter wastelands, and the closing triptych all contain the word “dead” in their names. The front end of Quiet Moments is what harkens back most to their early days: the slow, funereal keyboards, reverb drenched digital drum machines, and the heavily processed guitar that has a distinct Robin Guthrie influence without sounding like any of his work. The opening title song exhibits all of these, alongside VanPortfleet's resigned, but not overly processed or dramatic vocals. The same elements lead in to "The Visitor," although at a much shorter length it comes together much quicker, throughout a hushed, fragile performance. The middle portions lean more into ambient soundscape territory with a lower use of drums and vocals. The spacious and expansive "Greenland" is as cold and isolated as its namesake, with the double tracked vocals sounding more like a lost spirit than a second person in the mix. "Grand Rapids" leads off with some combination of gorgeous electronics or guitar, conjuring an almost isolationist sounding piece that is largely beatless until the end, and is only slightly hampered by the overdramatic vibrato vocals. The closing "Dead" trilogy is much more contemporaneous, with the stiff drum machine replaced with mangled electronic loops and sheets of static noise taking the place of the resonating synth pads. The guitar retains its characteristic sound throughout these, but in a very different context. Closer "The Soil is Dead" is perhaps the most drastically removed, with Tara Vanflower's vocals often coming across as disturbingly manic and wordless, but capturing a different, just as effective form of darkness. The oddest moment is the uncharacteristically upbeat titled "Spring Trees," that, via its faster pace and lighter vocals, actually feels somewhat ethereal and not nearly as dreary as the ten songs that surround it. Ebullient it is not, but it does make for a brighter hued moment in an otherwise album of gray tones and frigid textures. While even at its lightest moments there is little uplifting about Quiet Moments, but as an archetypical rainy (or snowy) day record, it works perfectly. It captures the mood and the vibe of that environment without coming across as stereotypical. Even though it stays within that certain feel, the duo never feels stuck, and instead examines all facets of that mood in ways that both recall their past but look toward a new, but still appropriately desolate, future.